Jugendland » Jugendland Singers & Band & PANergy Steelorchestra live im Zirkuszelt! Jugendland Singers & Band & PANergy Steelorchestra live im Zirkuszelt! Ein besonderer musikalischer Abend in einem besonderen Ambiente. Im Jugendland Zirkuszelt treffen an diesem Abend interessante musikalische Ensembles aufeinander. Zum einen spielen die Jugendland-Singers & Band letztmalig auf ihrer Tour ein unterhaltsames Set aus Pop, Rock, Soul und Jazz; und zum anderen reißt das Panergy Steelorchestra aus Telfs das Publikum mit groovigen Rhythmen aus Trinidad Tobago mit Sicherheit mit und wir für einen unvergesslichen musikalisch vielfältigen Abend sorgen. 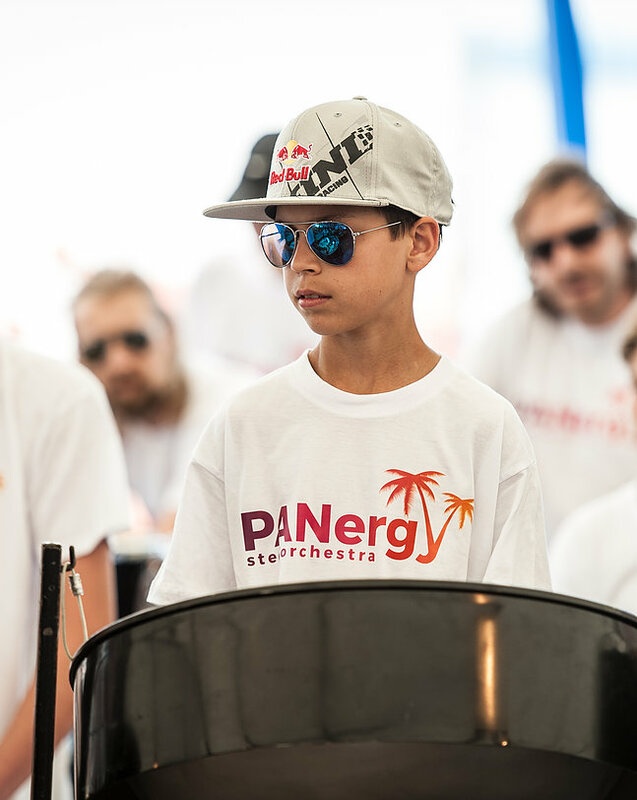 We are a group of young musicians from Tirol / Austria who share their passion for pan music. Pan is the original word for steeldrum in the country of its birth Trinidad & Tobago. We love to play concerts and parties and whenever we play we enjoy ourselves. We play big venues with about 17 musicians and small gigs we do as a quartet. We feature Paul Adams as our guest singer for more party and interaction with the audience. We have our own party format called LIME where we do a party in trini style. Panergy was found in 2008 by Stefan Schwarzenberger. He brought the instruments from Trinidad to Tirol and is still the musical director. We play a mix from original Calypso music to arrangements in cha cha, reggae or house style. Our music transports the feeling of the caribbean and our energy is infectious. We visit Trinidad & Tobago from time to time to get the original feeling which keeps us smiling all the time ! if u wanna feel us don`t hesitate to contact us ! we performed in Austria, Germany, Italia, Slovenia, Switzerland.